Everywhere I turn lately, these type of glasses keep popping up. 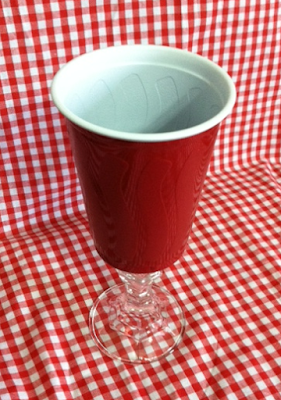 The red solo cup on top of a crystal stem, is the newest iteration of the Rednek Wine glass, known as the Tailgate Wine glass. We can all blame Toby Keith for this idea.